This suggestion came from one of my colleagues… it wouldn’t be hard to guess which one. Anyhow, I figured I’d make a note of it in case we ever decide we want to! I’ve never been to Brunswick or Nova Scotia, so it would be a fun way to explore both places. 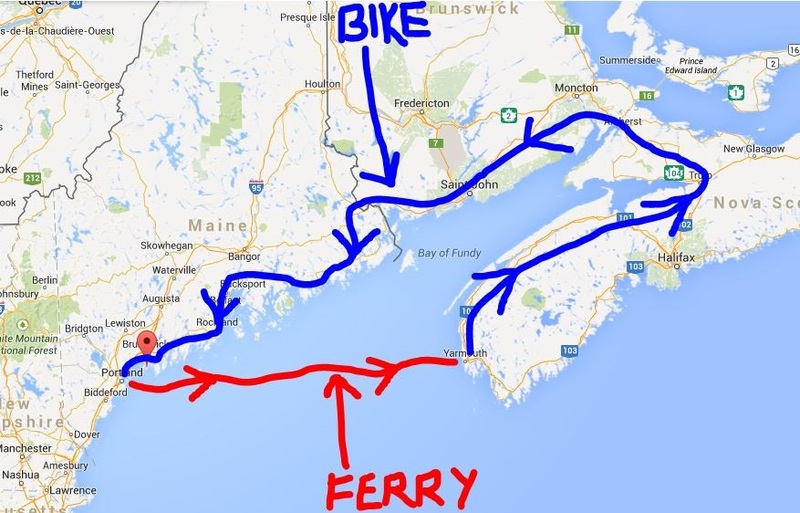 The ferry from Portland, ME to Nova Scotia can be booked through Nova Star Cruises and is only ~$160 (or less) for an adult with a bicycle. You could also get a cabin on the ferry and that could range anywhere from ~$80 to ~$250, all of which sleep 4. The ferry leaves Portland around 9pm and the crossing takes 10 hours. The ride back from Yarmouth to Portland would be ~750mi (1,200km), depending on the route of course. Add one to the “to do” list! !